Actor's Audition Log (Paperback) | The Drama Book Shop, Inc. 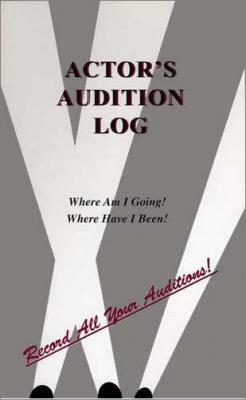 The Actor's Audition Log is an organizational book for all areas of the performing arts. It is a great tool to aid the actor in getting to the right audition at the right time with a place to record pertinent information including: what transpired; who was in the room; what outfit was worn; instinctive feelings about the reading; expenses; etc.. Adjacent to each page is a blank one for notes such as change of address, postcards sent, personal observations, etc. A valuable, inexpensive and useful tool or gift.